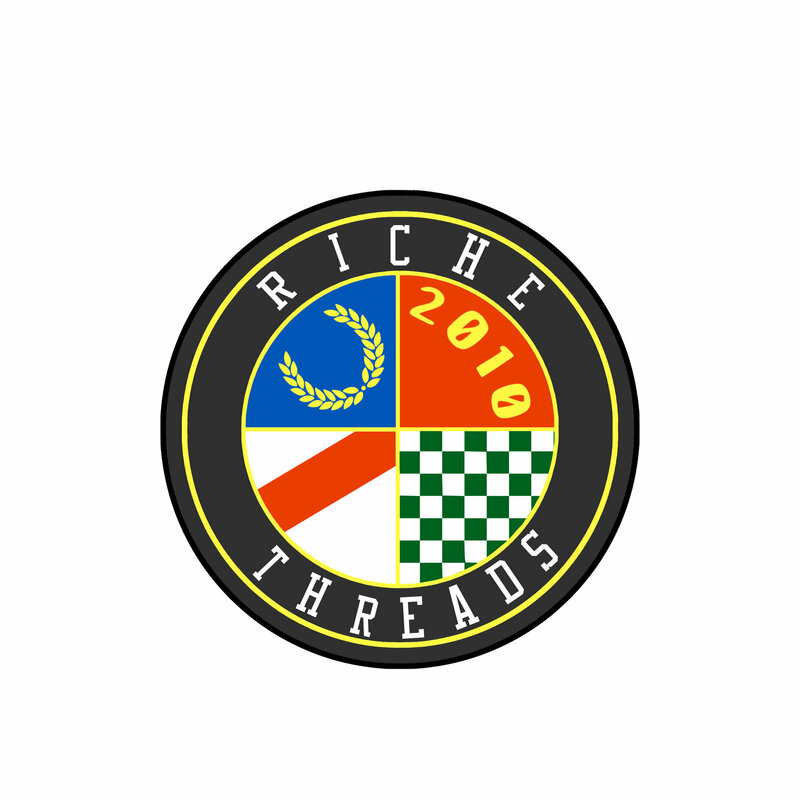 WELCOME RICHE THREADS HOSTED BY STRIPE! Stripe (“we”, “us” or “our”) developed this service to make it easy for you to accept payments online so you can focus on your own product or service. We understand that privacy is important to both our online visitors and registered users. We respect your privacy and will take reasonable steps to protect your information. Stripe, Inc. is located at 185 Berry Street, Suite 550, San Francisco, California. This Policy applies to the stripe.com website, including all subpages and successor pages (collectively referred to as the “Website”), and also applies to all software and services that we offer, including the Stripe Checkout form that may be made available on a third-party website, or other services that we offer through our Website when you register for a Stripe account (collectively referred to as the “Services”). This Policy does not apply to any website, product or service of any third-party company even if the website links to (or is linked from) our Website. Stripe does not operate or control those websites, products or services. Please always review the privacy practices of a company before deciding whether to provide any information. By using our Website or Services, you are accepting the practices described in this Policy. If you do not agree with this Policy, delete all cookies from your browser cache after visiting our Website and do not visit or use our Website or Services. Your continued use of our Website or Services signifies your acceptance of this Policy. Broadly speaking, we collect information in three ways: (1) when you provide it directly to us, (2) when we obtain verification information about you or your company through trusted third parties (e.g. banks, credit bureaus), and (3) passively through technology such as “cookies”. The types of information that we collect and our use of that information will depend on whether you are a Website Visitor, Test User, Checkout User, or Live User, as described below. The term “Personal Information”, as used in this Policy, refers to any information that can be used to identify a specific person, or any anonymous information (e.g., IP Address) that is linked to a specific person. Personal information does not include information that has been aggregated or made anonymous such that it can no longer be reasonably associated with a specific person. Similar to many commercial websites, we utilize “cookies” and other technologies to collect non-personally-identifiable information from our Website and from other websites that use Stripe Checkout. “Cookies” are a feature of web browser software that allows web servers to recognize the computer used to access a website. Cookies store information accessed through your browser to streamline activities on related web sites, and make the online experience easier and more personalized. Information gathered through cookies and web-server log files may include information such as the date and time of visits, the pages viewed, IP addresses, links to/from any page, and time spent at a site. We use cookie data to measure web traffic and usage activity on our Website for purposes of improving and enhancing the functionality of our Website, to look for possible fraudulent activity, and to better understand the sources of traffic and transactions on our website and the websites of merchants that use Stripe Checkout. Cookies also allow our servers to remember your account information for future visits and to provide personalized and streamlined information across related pages on our Website and also across other websites or applications that use Stripe Checkout. Log files are used to monitor, measure, analyze, improve, and troubleshoot our Services. You can choose to disable cookies for our Website but this may limit your ability to use our Website and Services; see below in Section 4 (“Choice and opt-out”). To simply browse our Website, you are not required to provide any Personal Information. However, we may gather non-personally-identifiable information, as described directly above, just for the purposes of monitoring and improving our Website and Services. We will not share this information with third parties except as a necessary part of providing our Website and Services, nor will we use it to target any advertisements to you. When you use Stripe Checkout on a merchant’s website to store your payment credentials, we will gather and store your payment card information, your email address, your mobile phone number, and billing and shipping address. We will use this information to complete purchases that you choose to make on other websites or applications that also use Stripe Checkout, but only with your permission. We may also share your contact information, but not your card information, with merchants as part of your purchases. We will not share this information with other third parties except as a necessary part of providing our Website and Services. You should carefully review merchants’ privacy policies to better understand how each uses your information. Stripe does not sell or rent your Personal Information to marketers or third parties. We may share your Personal Information with trusted third parties who are integral to the operation of our Website and Services, including but not limited to financial institutions, payment processors, verification services and credit bureaus, as well as any third parties that you have directly authorized to receive your Personal Information. We may store your Personal Information in locations outside the direct control of Stripe, for instance, on servers or databases co-located with hosting providers. We are required to collect certain Personal Information to confirm your identity and comply with our obligations. If you elect to not provide Personal Information in optional fields it may limit your ability to use our Services. You can update your account information by signing on to our Website with your Stripe account. We may occasionally email you with information about offers or new services. You can opt out of these email communications by replying with unsubscribe in the subject line, or via an unsubscribe link included in such communications. However, you will continue to receive certain email communications related to your account including information regarding transactions and your relationship with Stripe. If you wish to opt out of having cookies set on your browser (as described above in Section 2), the only way to ensure that this happens is to manage the settings on your web browser to delete all cookies and disallow further acceptance of cookies. For more information, refer to your browser’s technical information. You may also consider visiting aboutcookies.org, which provides helpful information about cookies. Note that disabling cookies on your browser prevents Stripe from tracking your activities in relation to our Website and Services. However, it may also disable many of the features available through our Websites and Services. We therefore recommend that you leave cookies enabled. Stripe has a variety of obligations to retain the data that you provide us, both to ensure that transactions can be appropriately processed, settled, refunded or chargedback, to identify fraud, and also to comply with laws applicable to us and to our banking providers and credit card processors. Accordingly, even if you close your Stripe account we will retain certain information as necessary to meet our obligations. Although no data transmission can be guaranteed to be 100% secure, we take reasonable steps to protect all Personal Information. Stripe maintains strict administrative, technical, and physical procedures to protect information stored in our servers, which are located in the United States. Access to information is limited (through user/password credentials and software systems) to those employees who require it to perform their job functions. We use industry-standard Secure Socket Layer (SSL) encryption technology to safeguard the account registration process and sign-up information. Other security safeguards include but are not limited to data encryption, firewalls, and physical access controls to building and files. We reserve the right, in our sole and absolute discretion, to make changes to this Policy from time to time. Please review this Policy periodically to check for updates. If any changes are material and/or retroactive, we may provide additional notice and/or an opportunity to “opt-in,” as appropriate under the circumstances. Stripe will provide you with disclosures and alerts regarding this Policy by posting them on our Website, by emailing the email address listed in your Stripe account, and/or by mailing to the physical address listed in your Stripe Account. You agree that electronic disclosures and notices have the same meaning and effect as if we had provided you with a paper copy. Such disclosures and notices in relation to this Policy shall be considered to be received by you within 24 hours of the time it is posted to our Website or emailed to you (unless we receive notice that the email was not delivered). Stripe complies with the U.S.-EU Safe Harbor Framework and the U.S.-Swiss Safe Harbor Framework as set forth by the U.S. Department of Commerce regarding the collection, use, and retention of personal information from European Union member countries and Switzerland. Stripe has certified that it adheres to the Safe Harbor Privacy Principles of notice, choice, onward transfer, security, data integrity, access, and enforcement. You can learn more about the Safe Harbor program, and view Stripe’s certification, by visitingexport.gov. If you have questions regarding Stripe’s Safe Harbor certification, please contact us.